Give Your Skin The Perfect Finish. 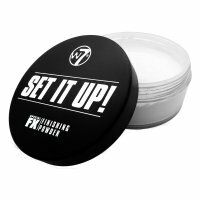 Special FX Finishing Powder Gives A Flawless, Luminous Finish With A Must Have Weightless Feel. Enjoy The Mattifying, Skin Balancing Formula Which Will Leave You Feeling Airbrushed. Apply All Over The Face For Make Up That Stays All Day, Or Use In Your Baking Routine, Under The Eyes & Across The T Zone - For Ultra Skin Brightening.